Two Russian warships have arrived in Tartous port to get supplied with fuel in the only Russian sea base in the Mediterranean. Sources in the Russian Marine Staff said to Interfax Agency that the two ships Novuccirkask and Saratov arrived in the Syrian port of Tartous. 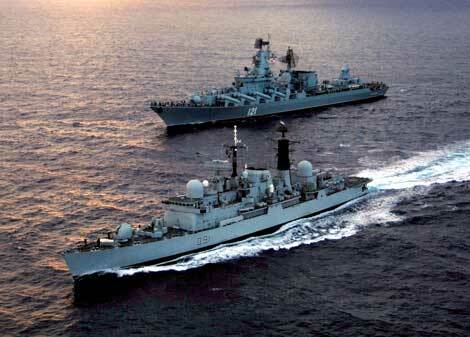 The two warships, that belong to Black Sea Fleet will head to the straits of Bosphorus and Dardanil.